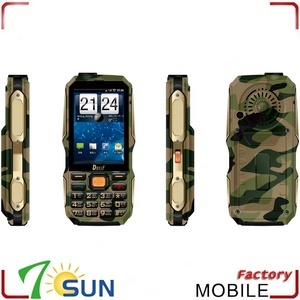 6 YRS Shenzhen Amanki Technology Co., Ltd.
2 YRS Shenzhen Qianyun Technology Co., Ltd. So welcome to test our goods quality and our company service. And Hope our company can be your honest partner in China. And we have a strong quality control team to guarantee our quality. 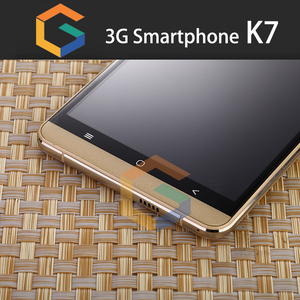 1 YRS Shenzhen Donghuaxing Technology Co., Ltd.
Android Smart TV box Cheap Dual Sim Smart cell phone As a Gold Supplier,we hope to cooperate with customers as mutual benefits partner in the near future. Products show: Shipping and payment: Trade Terms: FOB, CIF, EXW; Payment Terms: T/T, Western Union Delivery Time: Sample within 1-3 days, bulk order 5-10 days according to different quantity; Packing: Neutral Carton, Standard export package; Express Delivery: TNT, UPS, DHL, FedEx, International Air Mail. 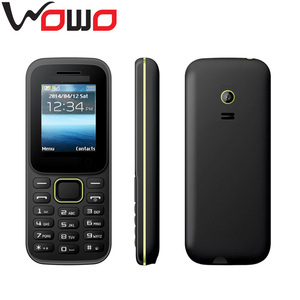 S epecification : SIM card TWO sim card QHD 6 inch QHD System memory 2+16(RAM 2G,ROM 4G) Size 142*68. 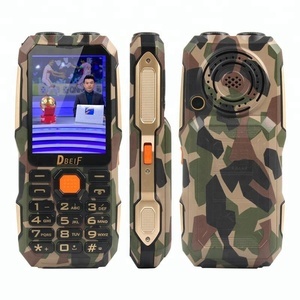 *8.85 Battery 3000MA Wireless transmission 802.11N NAND flash/MINI SD/T-flash T-flash Front Camera 5MP Back Camera 8MP 2.5/3.5mm jack 5PIN Band GSM900\1800 Flashlight YES Torch Yes Record YES Handsfree YES FM radio YES Audio Codec MP3 Video codec MP4 TV NO Bluetooth YES Speaker 1511BOX Languaget Multiple lanugaes WAP YES MMS YES SSM SMS YES GPRS YES WIFI YES Package one earphone,one USB cable,one charger,ONE battery 3000MHA,one manual Contact Information: ***************************************************************************************************** Contact Person: Lilian Shieh What's app:+86-13715226107 Skype:wind. 4. Large, legible numbers and big buttons make dialing effortless. 5. A powerful speaker ensures every conversation will be loud and clear. 6. Support 500 phonebook, can storage many contact information. 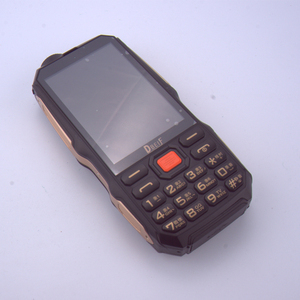 6 YRS Shenzhen RICOO Technology Co., Ltd.
6 YRS Shenzhen Onice Technology Co., Ltd.
D1000 driving recorder function old man mobile phone with TV function dual SIM support FM 4800mah power bank Features: 1.Driving recorder 2.2. 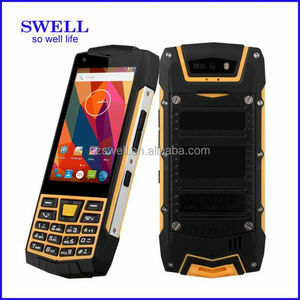 4 inch TFT screen big keyboard 3.GSM quad band dual SIM dual standby 4.4800mah big battery support power bank function 5.Multiple languages support:English/Russian/German/Spanish/Polish/Portuguese/Italian/ Arabic/Czech/Greek/ Indonesian/ Vietnamese Model D1000 2457 Dimensions 137*64*30mm Frequency GSM850/900/1800/1900mhz SIM Dual SIM Camera 1.3mp LCD 2.4 inch Resolution 240*320 RAM/ROM 32MB+32MB T flash MAX 32GB Languages support Chinese/English/Russian/German/Spanish/Polish/Portuguese/Italian/ Arabic/Czech/Greek/ Indonesian/ Vietnamese Functions Free TV/WeChat/QQ/traffic recorder/MP3/FM radio/LED flashlight/dual SIM dual standby/anti-shock/anti-drop/power bank/ calendar/memo/alarm clock/calculator and so on Battery capacity 4800mah Standby time 168 hours Note QQ/WeChat functions need to use before insert memory card Welcome me to contact us for more details! 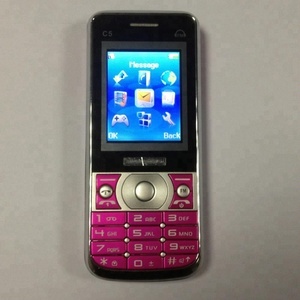 Alibaba.com offers 2,197 tv bar phone products. About 47% of these are mobile phones. A wide variety of tv bar phone options are available to you, such as paid samples, free samples. 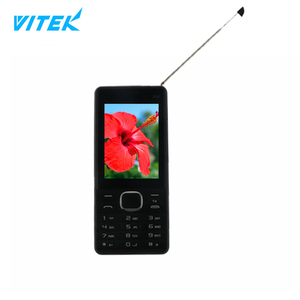 There are 2,197 tv bar phone suppliers, mainly located in Asia. 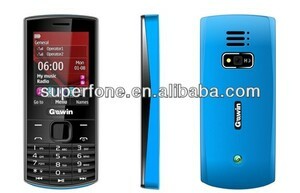 The top supplying country is China (Mainland), which supply 100% of tv bar phone respectively. 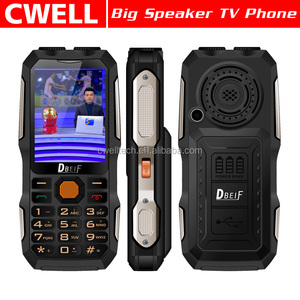 Tv bar phone products are most popular in North America, South America, and Western Europe. You can ensure product safety by selecting from certified suppliers, including 161 with ISO9001, 106 with Other, and 55 with ISO14001 certification.